Hope all of you are having a blast!! Weekend is just a day away. Looking forward to two days of bliss. What are you guys planning for the weekend. I for one would be visiting a few relatives and a family picnic also seems on the card. I am so looking forward to sunshine and fresh air!!! So, coming back to the product of interest today. 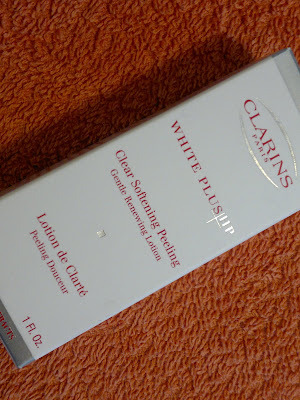 It’s Clarins Clear Softening Peeling Gentle Renewing Lotion. 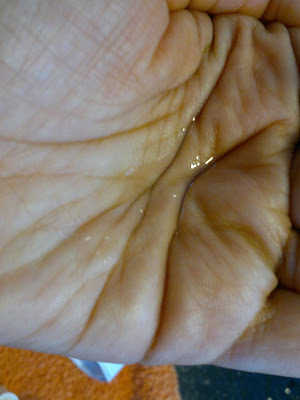 This is the last product which I have reviewed from my blisscovered January Box 2012 (see here). I have just started using this as I wanted to test the serum and lotion separately to gauge their individual results on my facial skin. Price: It retails for INR 2000 for 120 ml of lotion, but blisscovered is offering it for INR 1800 to its members. Packaging is simple yet classy, a plastic tube (not see through which is a bit of a problem). The cap is twist open which allows you to dispense product easily. Now, the packaging box or the instruction leaflet inside do not provide clear instructions on using this. 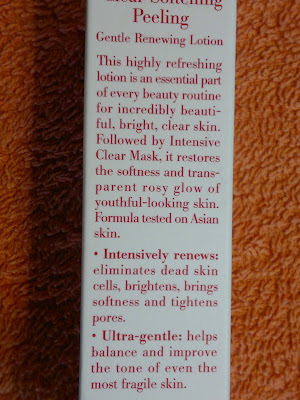 The descriptive card which came with the blisscovered box, advised to apply this lotion on a cleansed face, twice a week. There is no mention anywhere on how much time should this is left on the face as this is a skin peeling product. 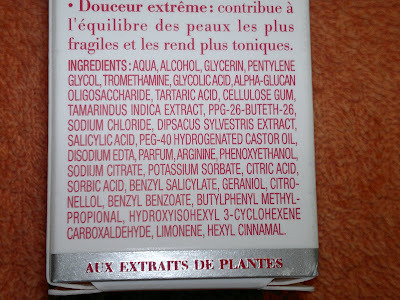 I think Clarins should take a not of this and provide clear instruction even on travel sized products. The product is quiet runny but not watery and very little amount is required for the whole face. I guess this is going to last me for around two months, as it does not require daily application. 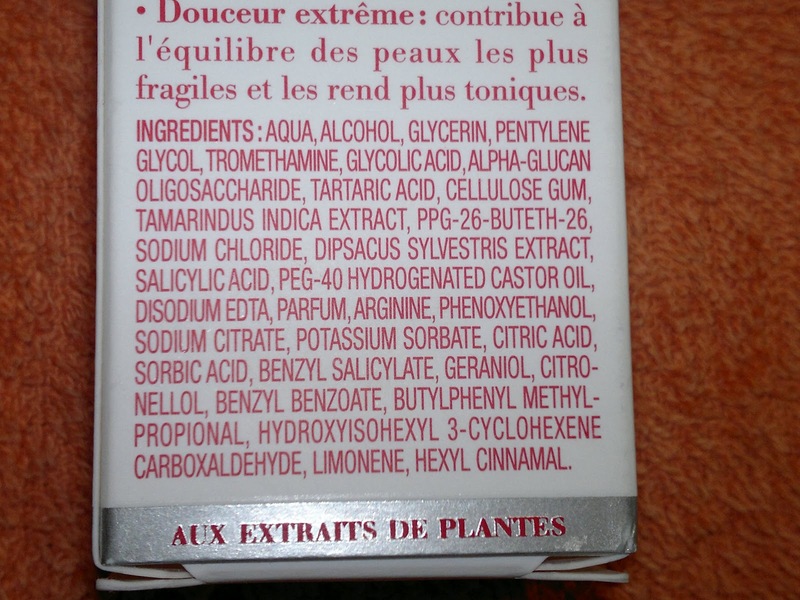 I was scared that if I keep the product on for too long, it might result in red streaks on my face. So, here’s what I did. I used this after cleansing my face and left this on for 5 minutes. Then I applied toner with a cotton ball to remove the traces and followed it up with my regular night cream. This I have started doing every alternate day. 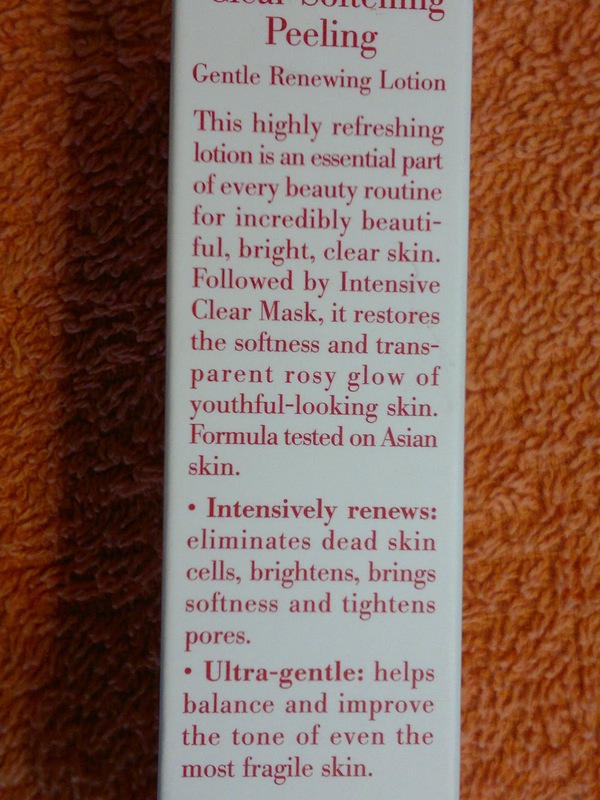 So, after a week’s worth of application, I would say that this is a wonderful product to have in your skin care routine. My skin has reacted pretty well to this regime, without any breakouts, redness, flaking, or itching. Also, I have started noticing a brighter complexion, and further removal of the already fading pimple marks on my face (read here). Application and usage is also quiet simple. With this I have also noticed that the black and white heads on my face have reduced considerably and I do not feel the need to scrub bi-weekly. The tone of my skin is definitely improving as well. Also, though the product is quiet mild I donot use it before stepping out in the sun for the fear of redness. So, it has become a part of my night time routine. All in all I love this product. Product rating: A. Would definitely recommend this to everyone. Available at all Clarins stores and online (via blisscovered website in India). This was the last product review from the blisscovered January Box 2012. So far, I would say the experience has been excellent. The products are amazing and suited to my every day requirements. I would say it was INR 700 well spent. Am waiting eagerly for my next three boxes now. Hi Namita, it's a very good product. The blisscovered box has delivered what it promised. As far as dry patches are concerned, may be due to harsh face wash, or hot showers. I would suggest that you start using pure almond oil or one part glycerin diluted with 5 parts of rose water as a night time moisturizer. Not only will your dry patches go, but you will have wonderfully glowing skin. Other than this simple home remedy you may use a serum such as Lancome Genifique, it's a wonderful product. Also Aroma magic almond lotion is a good product for dry skin. I will try the glycerin rose water mixture :) hope it helps me out..
A quick update, I have been receiving compliments on my lighter and even skin tone after using this product just twice. I would categorize this into a miracle product definitely.